Late in the summer of 2010, a few days before his 16th birthday, Ryan Hartman was two weeks into his two-year stint with the United States national development team in Ann Arbor, Michigan. The stakes were high. Ryan was trying to make his way in the hockey world. He was playing on a talented under-18 team that included Seth Jones, Jacob Trouba, J.T. Miller, Reid Boucher, Rocco Grimaldi and John Gibson, among others. He, his younger brother Tanner and mother Kim, had moved to Michigan from the Chicago suburb of West Dundee, while his father Craig stayed home. But all of a sudden, none of this mattered anymore. Two weeks into the move, Ryan came home surprised to see his father in Ann Arbor. Craig called his son into a room to deliver devastating news. His mother had breast cancer. She had a friend from Florida diagnosed with the same disease a few weeks before, so Kim promised her friend to undergo a screening test of her own. Even though Kim ‘s cancer was caught early, she would undergo surgery immediately. 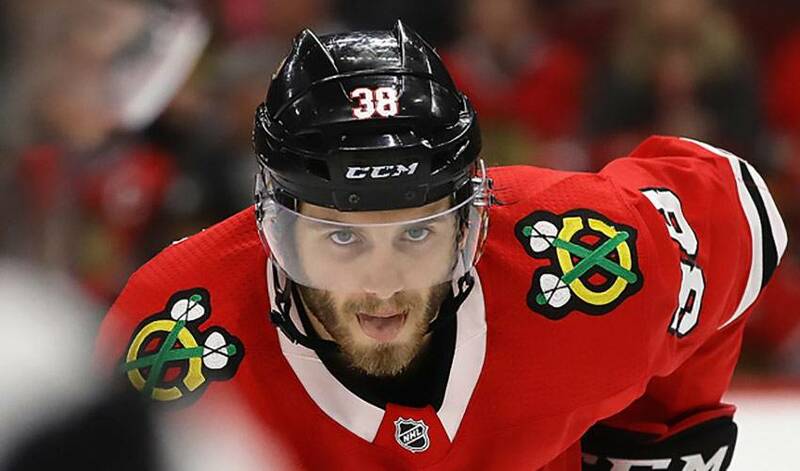 “It was tough on everyone,” recalled Ryan, now a 23-year-old left wing in his second year with the Chicago Blackhawks. “But she battled. She never showed what she was going through. November is Hockey Fights Cancer month, a joint initiative between the NHLPA and NHL. The campaign, which dates back to 1998, raises awareness and funds for an illness that has touched each and every player in some fashion. Ryan went on to have success in the U.S. national team development program. He and many of his teammates from that first year in Ann Arbor went on to represent the U.S. and win gold at the 2013 World Junior Championship[VN2] in Ufa, Russia. He has always played with the same grit and determination his mother exhibited in her battle. “It’s crazy when you look back on it and think about how selfless she was through the entire episode,” Ryan said. “A lot of people in her situation would be thinking about themselves, spending time resting in a room and trying to get better. The 6-foot, 180-pound Hartman was born in Hilton Head, South Carolina, but moved to the Chicago area at age two. He rooted for the Chicago Blackhawks and even though he was a good football player, it was an easy decision for him to pursue a hockey career. After his time in Ann Arbor, Hartman chose to play junior for the OHL Plymouth Whalers over going the U.S. College route. He had a scholarship offer from Miami University in Oxford, Ohio, a powerhouse program that lost the 2009 Frozen Four championship final and the national semifinal in 2010. The Blackhawks were wowed by Hartman’s mix of toughness and offensive ability, but they were surprised he was still available when they made the 30th overall and final selection of the first round in 2013. Hartman scored 19 times as a rookie for the Blackhawks last season and started with a bang this fall as he became the first player in Chicago franchise history to check in with five points in the team’s curtain-raiser. And he’s still using the lessons his strong mother taught him late in the summer of 2010.